Just very recently, I noticed the website of Maximilian Büsser (and friends). 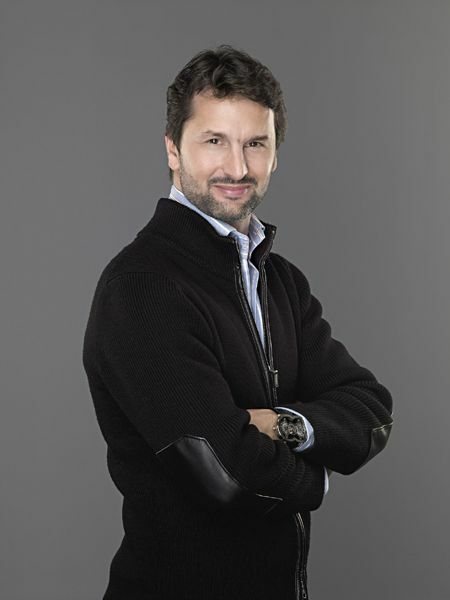 Maximilian has been working in the past for prestigious brands like Jaeger LeCoultre and for Harry Winston Rare Timepieces (as a managing director) being responsible for the Opus haute horlogerie watches of the latter brand. In 2005, Maximilian started his own brand (MB&F) to assemble dedicated collectives of talented artisans, artists and professionals to design and craft each year a radical horological masterpiece. 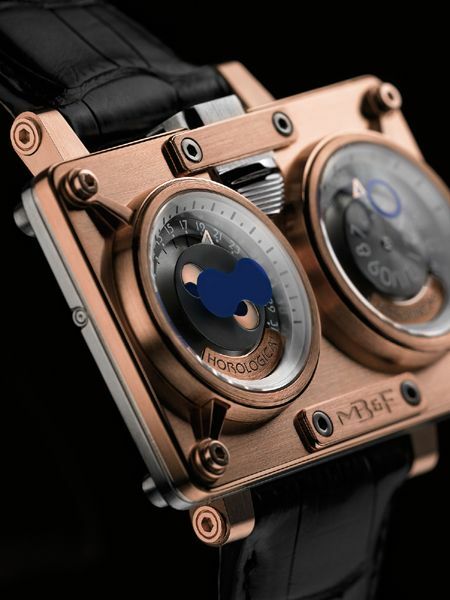 And if you take a look at the MB&F website, you’ll see that these masterpieces are radical indeed! The MB&F watches are being called Horological Machines and are successively numbered (for each year a new model is introduced). Horological Machine No.1 for example, has four barrels in parallel and is the first to have the regulating system receive energy simultaneously from two different sides (two barrels on each side). Its automatic winding movement consists out of 376 parts, 81 jewels, 4 mainspring barrels, a 7-day power reserve and an elevated central tourbillon. 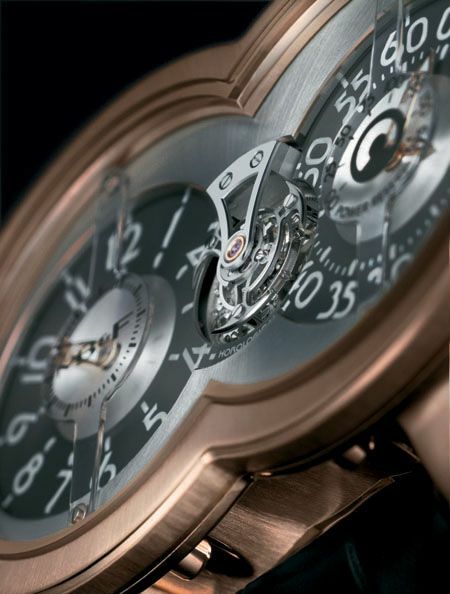 The MB&F website gives information on every Friend that helped constructing and building each Horlogical Machine. The watch is delivered with a black hand-stitched alligator strap with an 18ct gold folding clasp. Horological Machine No. 2 also an incredible radical designed wrist watch features an instantaneous jumping hour, concentric retrograde minutes, a retrograde date and a bi-hemisphere moon phase. 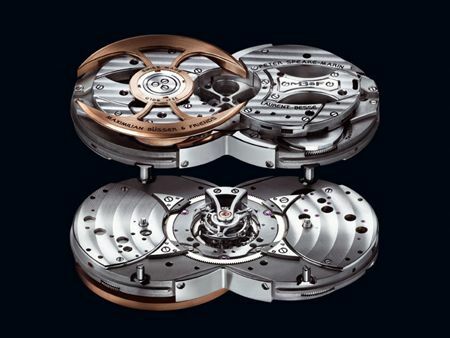 The automatic movement of the HM2 consists out of 349 parts and 44 jewels. HM1 is made in 18ct white gold and red gold. HM2 is made in 18ct red gold combined with titanium and 18ct white gold with titanium, limited to 125 pieces each. Prices are unknown and I really wonder if that is of any importance to the MB&F clients, this is a whole different level of the watch making art. The packing material of both watches is as radical as the watches are. HM1 comes in a very impressive wooden case with an extra alligator strap (brown) and a screw driver to be able to change it yourself. I would not forgive myself if I would scratch the case with a screw driver in an attempt to change the strap. The wooden case is safely tucked away in a pin striped flannel and leather carrying bag by Etro. HM2 comes in a leather case with brushed aluminum sides. One side of the case includes a thermometer. HM3 will be introduced late 2008. Thanks to Mr. Büsser of MB&F for some corrections.